BOSTON (13-Apr) -- Robert Domanic and Nikki Hiltz were the winners here today of the 11th annual B.A.A. Invitational Mile on the streets of Back Bay. Domanic, who represents Reebok, was timed in 4:06.4 on the three-lap course around one city block, and Hiltz, who represents adidas, stopped the clock at 4:40.1. Both athletes won $3000 in prize money. 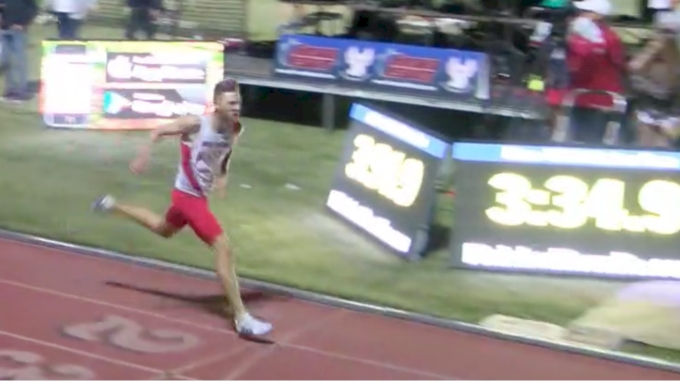 Domanic, 24, who has a track best of 3:36.33 for 1500m, was content to follow early leaders Jeff Thies and Sam Parsons through the first lap, and stayed tucked in on the second. The race has a tricky finish where the athletes turn left from Newbury Street --effectively the course's backstretch-- before making a sharp left turn onto Exeter Street, followed by an immediate left onto Boylston Street for the finish. 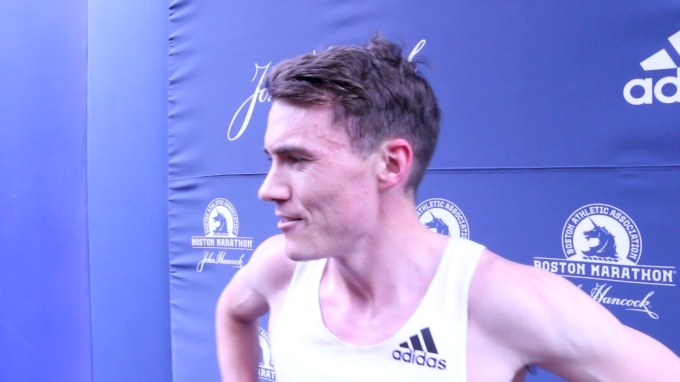 Domanic wanted to be in the best position for those final turns, and knew that Scotland's Chris O'Hare (the fastest man in the field with a 3:32.11 1500m best) was the man to beat. "I was just keep pushing, keep pushing, you know," Domanic explained of the final 200 meters of the race. "He's an Olympian and been to a couple of world champs. I know what kind of speed he has, and I just have to push myself to the limit when I'm racing him." Turning onto Exeter, Domanic had a step on both O'Hare and Parsons. O'Hare, who last month won the silver medal at the European Indoor Championships at 3000m, was trying to stay patient and pick the right moment to attack. "With about 150 (meters to go) I said I'm not going to go by him just yet," O'Hare said of Domanic. "Wait for the last straight and see what happens." The final sprint on Boylston is only about 50 meters. 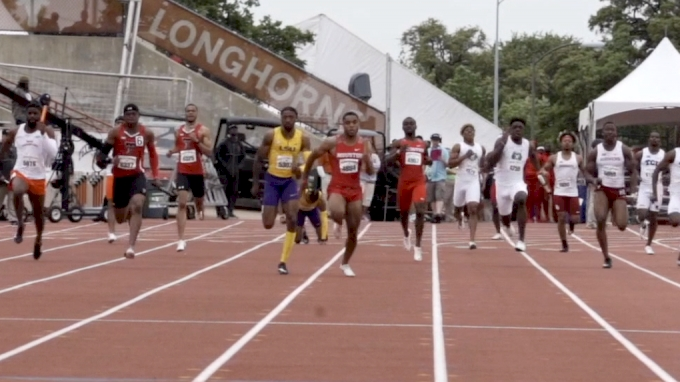 O'Hare went to the outside to get additional running room and hit the gas, but Domanic was able to match his speed, hold off the former University of Tulsa star, and win by half a second. Parsons was third in 4:07.6. 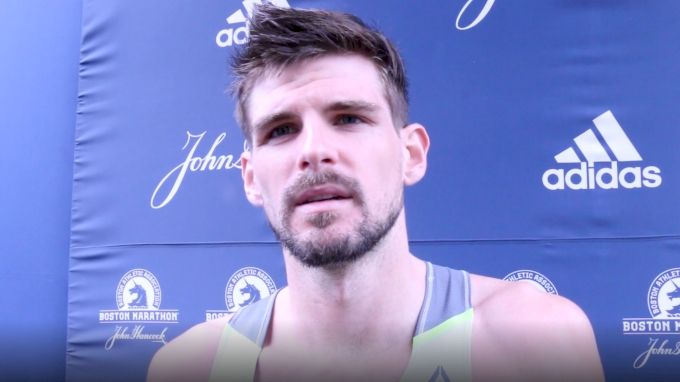 "This is my first race as a professional," Domanic said, apparently forgetting about his win at the GNC Live Well Liberty Mile last July in Pittsburgh. "I'm must glad I came away with the win." O'Hare, who said he had been doing 5000m training up until last week, was satisfied with his effort today which reflected solid base training but limited speed work. 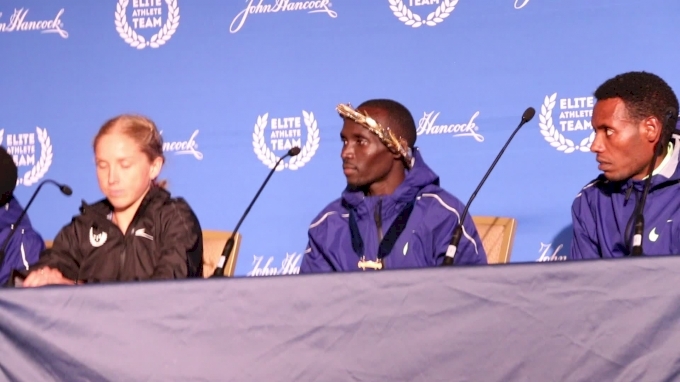 "We just knew if I could come here and bluff my way through the mile then I'll be all right," he said. Hiltz's win was far more dramatic. 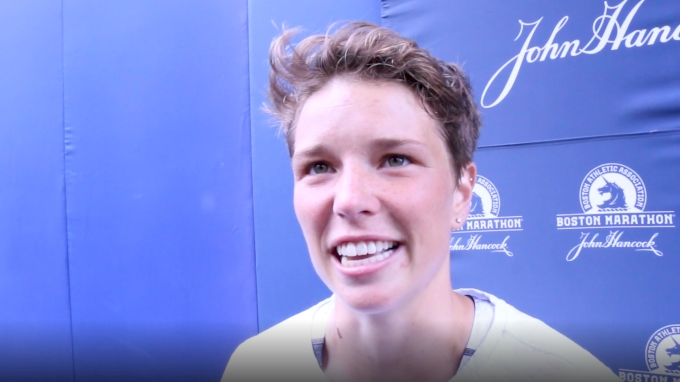 Coming off of Newbury onto Exeter, four-time USA road mile champion Heather Kampf had a step on Hiltz, Shannon Osika, and Emily Lipari. Kampf was still leading on Exeter, and when the foursome made the final turn onto Boylston they were four across on the roadway. Hiltz was on the outside, Lipari on the inside, and Kampf and Osika in the middle. Kampf was really surprised that the three other women were still in contention. "I'm not used to people coming back that late in the race," she told Race Results Weekly. "I've never been to Boston before and I've been having a blast," said Hiltz who lives and trains in San Diego under coach Terrence Mahon. She continued: "Seeing the crowd I said I really want to win this race. Coming down the last 50 I was in perfect position. It was awesome." The two high school division winners were Lucas Aramburu of Brookline in 4:29.5, and Grace Connolly of Natick in 5:07.5. Connolly, who set the event record of 5:04.8 in 2017, didn't race here last year and was excited to get the win in what was her last chance to run this event as a high school athlete (she will run for Stanford University next academic year). She said she really loves this event and would always remember today's victory. 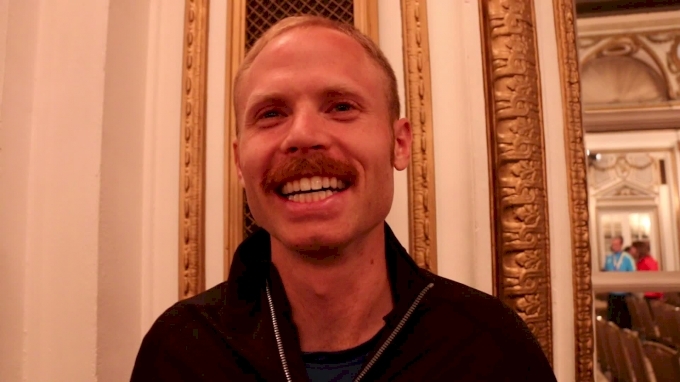 "I feel it really embodies what the running community of Boston is all about," Connolly said.